This week's Deal of the Week is the unlocked Huawei Honor 6X dual SIM, 32 GB LTE Android phone for $199.99 $149.99 at Best Buy. Update 11/8: Price Cut. The 6X launched at $249.99 in June. 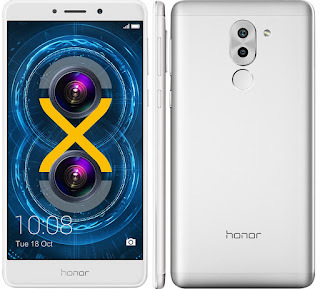 It uses Huawei's own Kirin 655 SOC, 3 GB of RAM, a 5.5" HD (1920 x 1080) screen, fingerprint reader, SD card slot, dual 12 and 2 MP main cameras, a 8 MP front facing camera and a non-removable 3340 mAh battery. The 6X runs Android 7.0 Nougat. If supports quad-band GSM, UMTS 850, 1700, 1900 and 2100 and LTE bands 2, 4, 5, 12 and 20, which makes it covers T-Mobile and AT&T's main bands. 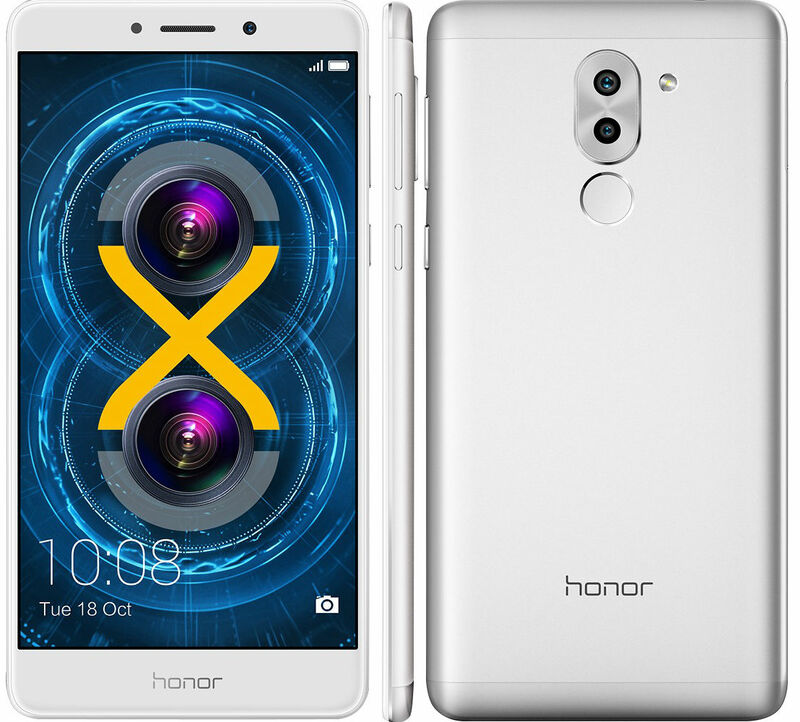 The Honor 6X gets generally good reviews, Sam Rutherford at Tom's Guide liked its performance, bright screen and camera quality. ZDNET's Matthew Miller praised it's display and camera quality, fit and finish and battery life. On the other hand, CNET's Jessica Dolcourt found it sometimes laggy, was disappointed with the camera. She prefers the $229.99 $224.99 at Best Buy, Moto G5 Plus. Unlocked Motorola G4 Plus 64 GB LTE Android phone on sale for $199.99 (was $299.99) at B&H. Free Phones for Port-ins: Free Moto E4, LG X-Power, ZTE Max XL, Alcatel Dawn, Samsung Galaxy J3 Emerge, Samsung J7 Perx, LG Tribute HD, Kyocera Hydro Reach, LG K3, ZTE Warp 7 or ZTE Prestige 2 for customers who port a number to Boost from a non-Sprint based operator and activate it on the $50 plan. Ends 11/14. Free and Discounted phones for port-ins: ZTE Overture 3 Free, Samsung Galaxy Amp 2 Free, Alcatel One Touch Flint 99¢, CPO Alcatel Streak 99¢, CPO Alcatel Pixi Theatre 99¢, CPO Samsung Galaxy Sol 99¢, CPO HTC Desire 520 99¢, CPO HTC Desire 625 99¢, CPO Alcatel Streak 99¢, CPO LG Risio 99¢, CPO LG Spree 99¢, LG Fortune $9.99, LG Harmony $29.99, Samsung Galaxy Amp Prime $39.99, LG X Charge $49.99, Alcatel Idol 4 with VR Goggles $49.99, Samsung Galaxy Halo $79.99, LG Stylo 3 $79.99, ZTE Blade X Max $99.99, Alcatel Idol 5 $149.99 when you port your number to Cricket. Unlocked Nextbit Robin 32 GB LTE Android phone (new) $99.99 Free shipping. Updated 11/10: New deals and price cuts since Sunday are in bold. Black Friday is around the corner, best is to wait. These are all great deals on their own. How Do You Say Huawei? It's pronounced "Wah-Way"! If I place one sim in lte data mode, will the other sim go to 2g or 3g mode? 2G only per the user guide. Dual SIM is nearly a USELESS feature in a land where 2G is only available in limited T-Mobile pockets. We need to start seeing dual WCDMA and/or LTE radios. That's how it works on my Blu r1hd, though you never have to physically switch the Sims, either one can have full capability (LTE, volte, ECT). Hybrid sim slots are an incredibly useful feature, and I'm sure we all love fearfully hammering away at the removal tool until it outright breaks the eject button. It's all so much more intuitive than pull-off backs with clearly visible card slots. Moto G5s Plus is back on sale at B&H -- $239 for 32GB model, down from $299. A dual simultaneous LTE dual SIM phone would probably run really hot. Hoping to get Moto G5S plus 4GB/64GB for $230-$250 on BF. I live in mediocre Sprint coverage. Does anyone know which Boost phone receives data better? The ZTE Max XL has HPUE but the Moto E4 Plus has Trusignal antenna boost from Intel. Life is too short for Sprint coverage, which is mediocre or non-existent for the vast majority of the US. Surely there is some relatively economic option for you that is bsed on one of the three much better networks??? Deal: NEWEGG - Unlocked ZTE Blade V8 Pro with dual-camera on sale for just $150 Ends (10PM Pacific Time) today. What happened to my question about auto updates? No idea. I haven't seen any comments about auto updates today. Both my Android phone and tablet have stopped auto updating apps. Auto update is turned on in the Play store settings and both are connected to wifi. Anyone know how I can fix this?